Labarde L size: Large pictured in large size features: -Urn. -Interior is velvet lined. -Comes packaged in a velvet bag. -Temporary urn fits comfortably inside. Large size holds 235 cubic inches (225 lbs.). Options: -Available in small or large sizes. 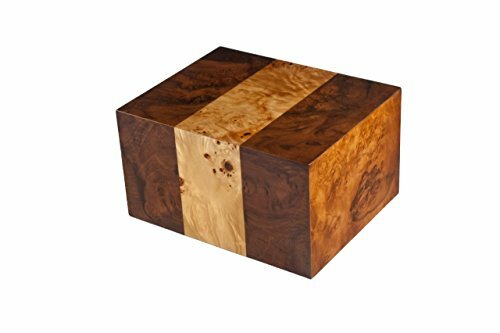 Color/finish: -Finish: Maple burl with walnut side inlays. -High lacquer finish. Large dimensions: 9. 1'' h x 5. 2'' w x 7. 4'' d.
If you have any questions about this product by Chateau Urns, contact us by completing and submitting the form below. If you are looking for a specif part number, please include it with your message.